Minister for Local Government and Housing, Kevin Stewart and North Ayrshire Provost, Joan Sturgeon, attended the opening ceremony at our new housing development site at Montgomerie Street, Ardrossan. The new housing development consists of 77nr affordable housing units for Cunningham Housing Association Limited. This development has allowed us to continue our apprenticeship programme, including taking on three new apprentices from Ayrshire. 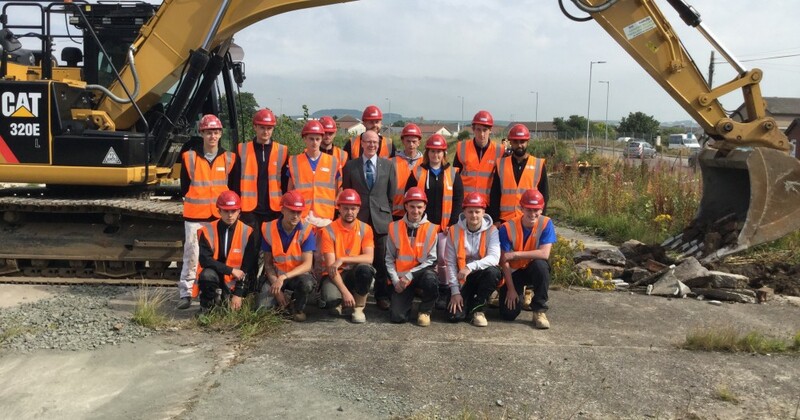 Above is an image of MSP Kevin Stewart with the Ashleigh Building Apprentices that will be involved in the project.